“Steep, Nirvana and opulence”, those were the unlikely three words chosen by Dan and Dean Caten to describe the guiding principles of their co-ed outing for FW19 in Milan. 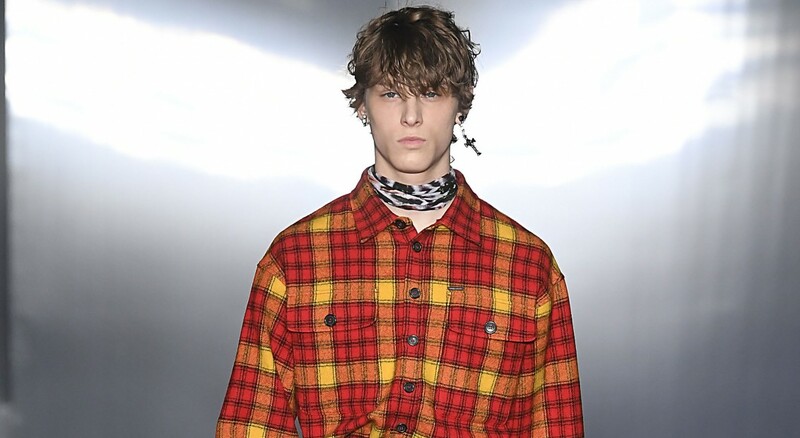 Some two and a half years after announcing their move to the new show format, this collection felt like their loudest in that time: a full-blooded, no holds barred outing that saw kaleidoscopic colours projected onto grungey ski-wear – “Alpine glam Seattle” as the couple referred to it. 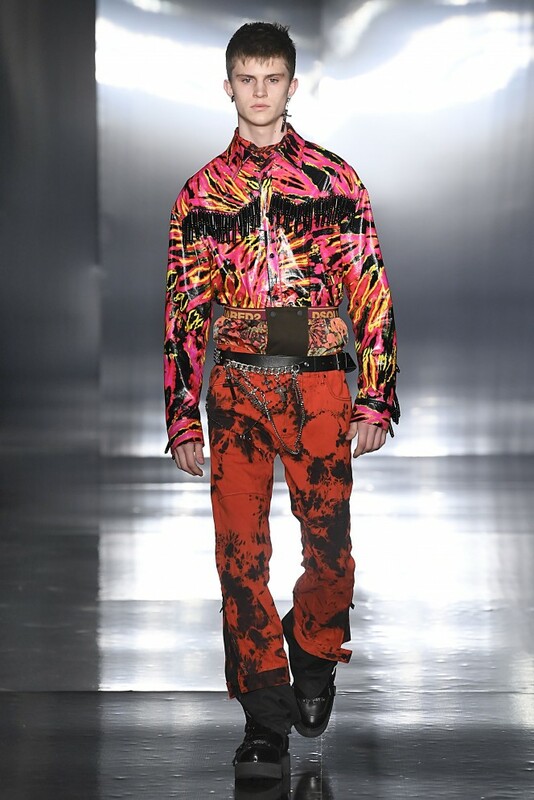 The tone was set early on with an explosive, retina-burning opening look of bright orange trousers – their padded silhouette and accompanying snowboarder boot giving a certified nod to the slopes – accompanied by a bubblegum pink shirt with a slashed print that featured heavily throughout. Vests and t-shirts served as pastiche band merch delivered grungey notes, with a font that felt halfway between that of Nirvana and AC/DC. Chains laden with charms, crosses and other embellishments swung from models’ hips, while plaid and shearling outerwear spoke of the pair’s Canadian heritage.